This month’s Neon-trepreneur is someone very near and dear to me, my wonderful, talented friend Rachel Wortell. Several years back, Rachel mentioned to me that she wanted to make a movie. It would be about siblings and it would showcase Rachel’s signature dry humor and NYC grunge meets shabby chic aesthetic. Knowing that Rachel was more than capable and had good connections, many people, myself included, encouraged her to bring to life the movie that was living in her imagination. 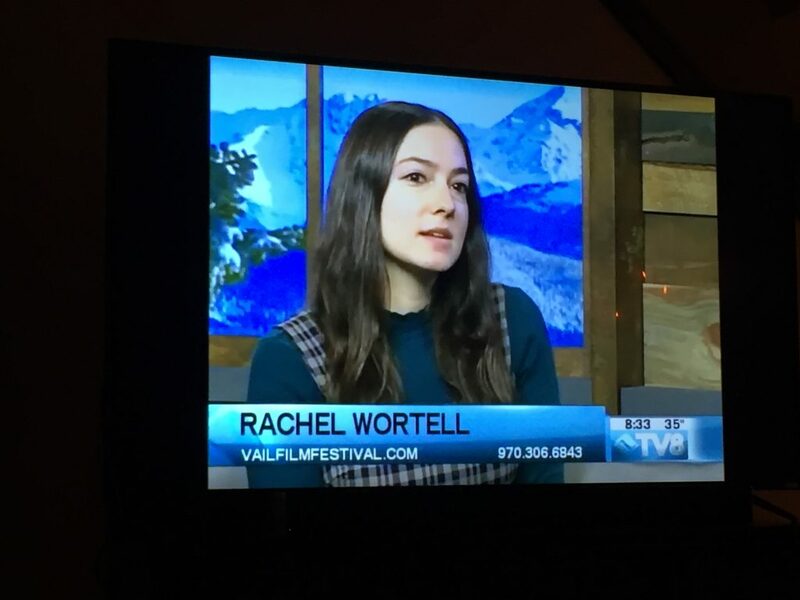 After a couple years of ruminating and waiting for the right moment, Rachel approached her childhood friend Dan Erickson, a TV editor, to create this film with her and soon after it was on. 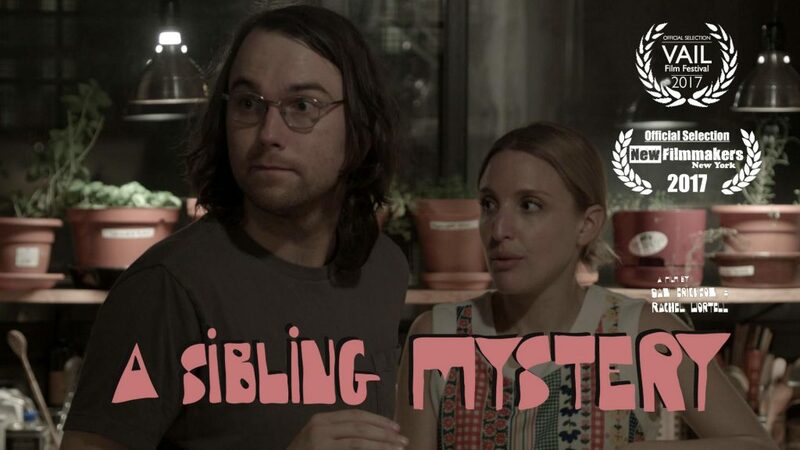 This spring, Rachel and Dan debuted their film A Sibling Mystery, which showed at Vail Film Festival, Anthology Film Archives in New York, and is showing at the Soho International Film Festival this Friday, June 16th. Tickets available here! 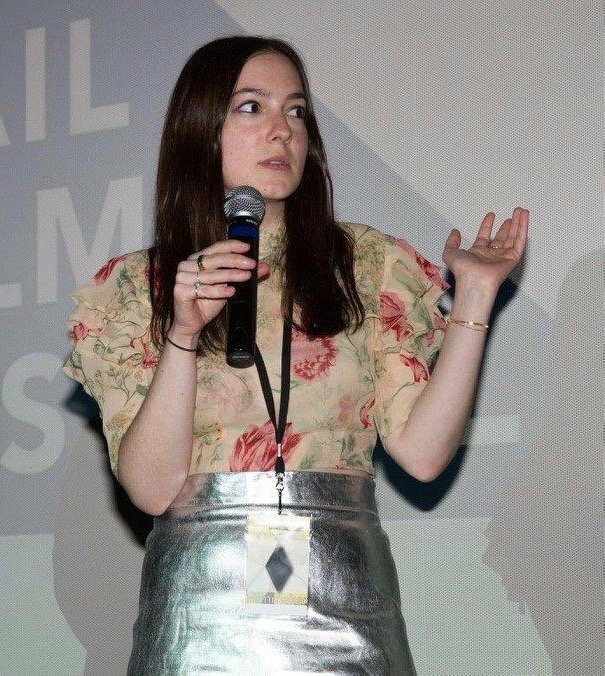 I’m so proud of my sweet Rachel and so excited to share her experience as a real life filmmaker here on Neon-trepreneur. When I was a kid I would boss my younger siblings around and make them perform Ren Faire acts for our parents, and I made sure our parents filmed the whole show. I then took it to the next level by organizing the neighborhood kids to practice and perform a play based on this scary children’s book called Heckedy Peg. I was just always trying to create the world exactly how I wanted it to be. What drove you to write, direct, and produce A Sibling Mystery? How did you know it was “the right time” (if there is such a thing)? I’ve just always really loved movies (and actors). They’ve always helped me a lot, inspired me, provided an escape, and a laugh. I decided I wanted to make a movie before I was thirty. My collaborator Dan Erickson (who I’ve been friends with since I was fourteen) and I decided we would shoot our movie while he was on summer hiatus from his job as an editor on a network TV show. We were both twenty-nine that summer, so perfect timing for the arbitrary goal I made up for myself in my head. Sometimes that’s all it takes! What were your inspirations for your film? Manhattan Murder Mystery, Scooby Doo, Husbands and Wives, The Long Goodbye, Olsen Twin movies, The Color Wheel, and screwball comedies. With your first film being accepted into festivals, do you feel like you’ve “made it?” Or at least that you’re truly onto something? What are the best and hardest parts about being your own boss? It’s nice to have alone time when I’m writing, and then to be around lots of people on set during production. When you are making a micro-budget indie film, you have lots of freedom, in a way. Time management is hard, it’s easy to get distracted. I always just want to hang out with my friends and laugh and eat with them, but in a weird way, that’s still productive, because you’re having an experience. To what do you attribute your success and the success of the film thus far? I have my family to thank, especially my Ma for providing unconditional love and support. She’s always told me to pursue my dreams, so I’m very lucky. She came to New York to work as the Production Designer, we couldn’t have made the movie without her. She carried tons and tons of heavy plants during a heat wave to dress the set! Also, I think people get excited when they see others doing creative endeavors just because they want to, and have the confidence/delusion to do so. And Marisa, you are also one of the key people in my life that told me I should just make the movie, so thank you for pushing me in the right direction! Besides just talking to people about how we were making a movie, I feel like the main way we got friends to come out to the screenings and festivals is by posting photos on Instagram to get people excited about it. Plus, we’ve been handing out postcards to anyone we meet with the movie poster on it. I literally give them to bartenders, waitresses, and cab drivers. My friend, muse, and the star of the movie, Lily Meyer, makes fun of me for it, in the most encouraging way. Which entrepreneurs and filmmakers do you look up to? 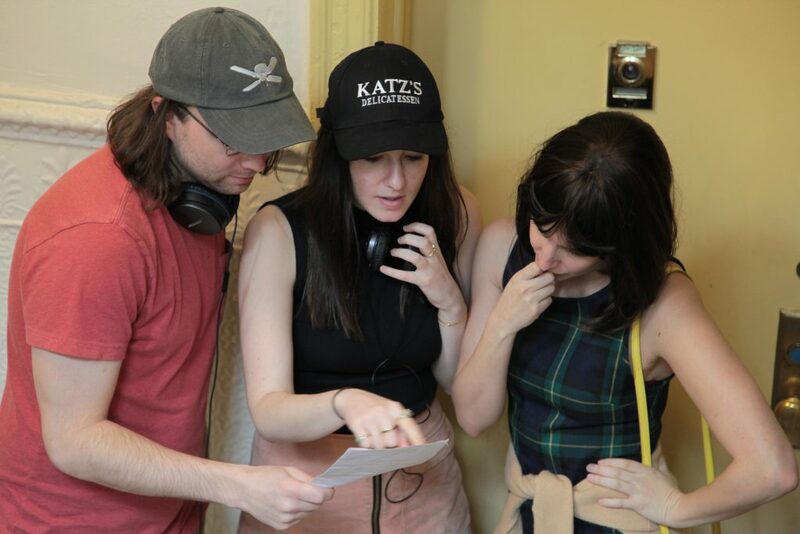 My next project is a comedy feature film called “A Sibling Romance” about three co-dependent siblings living together in a studio apartment in New York, attempting to write and perform a song for their great aunt’s funeral. I’m going to convince my brother Joe to act in it, he’s the funniest person I know. My dream project would just be to work with my friends and family on a movie that I write and direct, with an all female crew, on a back lot, as I love sets. With an ensemble cast made up of Winona Ryder, Amy Sedaris, Sarah Silverman, Elliott Gould, and Alan Alda. Work with your friends, try to do exactly what you want to do, not what you think you should do, and just make something, because after you make the first thing, it’s a relief and way easier to make another thing. New Yorkers: come view A Sibling Mystery this Friday night, June 16th, at the Village East Cinema + meet Rachel & the cast/crew! (Tickets here) And keep up to date with A Sibling Mystery on the official site, the film’s Facebook page & Rachel’s Instagram. A huge thank you to Rachel for her insightful and honest interview. So proud of you, girlfriend!! Fantastic on all levels! Great great questions and super wonderful responses!! !